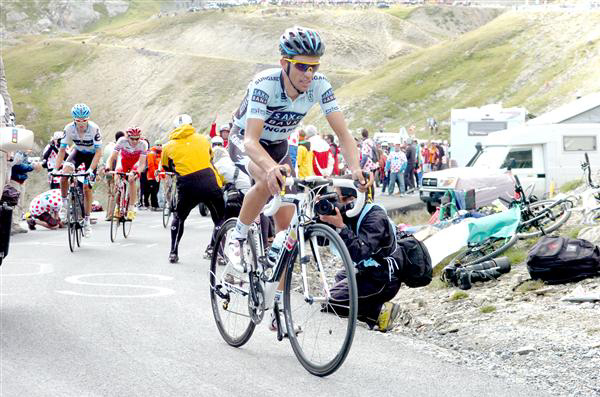 Alberto Contador (born December 6, 1982) was the finest stage racer of his era. With seven Grand Tour wins, he is tied with Fausto Coppi and Miguel Indurain for 4th place in total Grand Tour wins, behind Jacques Anquetil, Bernard Hinault and Eddy Merckx. That's fine company, indeed. As of spring 2018, he is also one of only six riders who have won all three Grand Tours. Contador turned pro in 2003 for the Spanish ONCE team, but early the next year he fell ill and had to undergo a difficult and risky surgery. By early 2005 he was winning pro races. But mid-way through the 2006 season he was caught up in the Operacion Puerto doping scandal. He was cleared and in 2007 began racing for the Discovery Channel team. That year he won his first Grand Tour, the Tour de France. Contador won his third Tour de France in 2010. But he tested positive for the banned substance Clenbuterol. 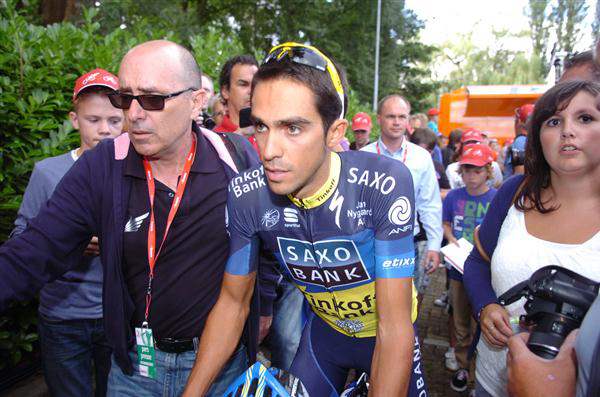 The case dragged on for years and it wasn't until February of 2012 that the Court for Arbitration for Sport found Contador had indeed violated doping rules and gave him a largely retroactive two-year ban that ended August 5, 2012. He was stripped of his 2010 Tour and 2011 Giro victories. When he returned to racing, he had a slow start. 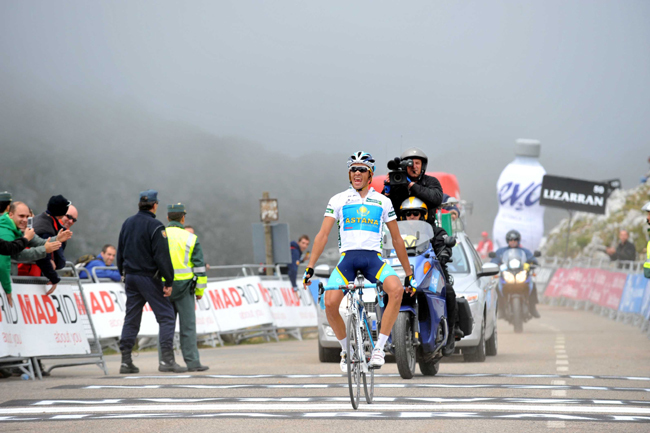 But by late 2012 he was roaring and won the Vuelta a España. His last really good year was 2015, when he won the Giro. He raced through 2017, making an attempt to win the Vuelta a España his final race. Though he didn't win that Vuelta, a fifth place in a Grand Tour is an substantial accomplishment. In the photo gallery below I've included pictures from the 2010-2012 period when his results were voided. 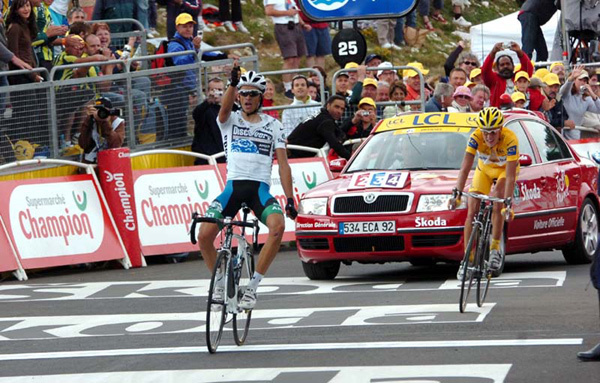 2007 Tour de France: Alberto Contador beats race leader Michael Rasmussen to win stage 14. 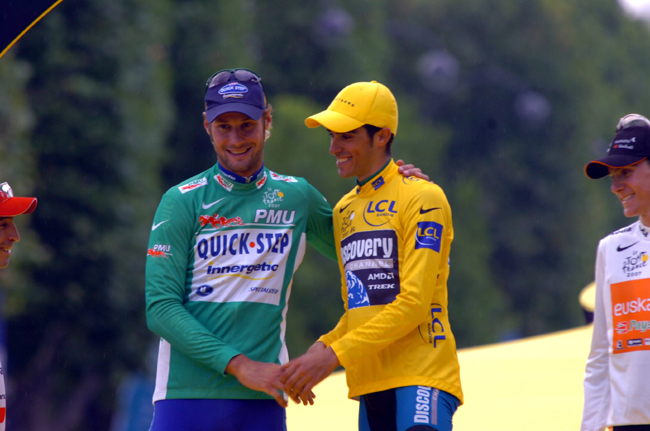 2007 Tour de France: Tom Boonen (left) has won the points classification and Alberto Contador is the owner of the yellow jersey. 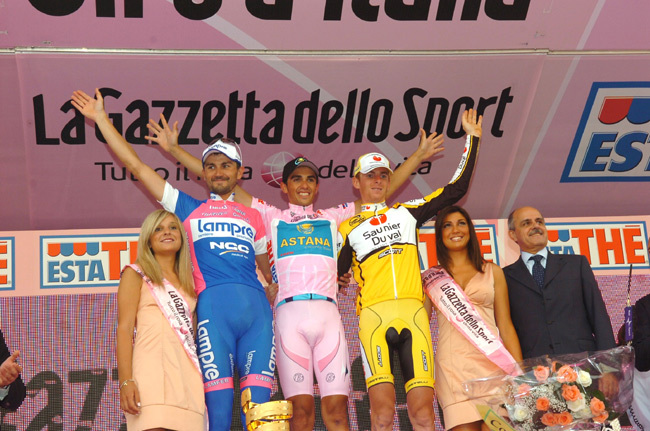 The final 2008 Giro d'Italia podium, from left: Marzo Bruseghin (3rd), Contador & Ricardo Ricco (2nd). 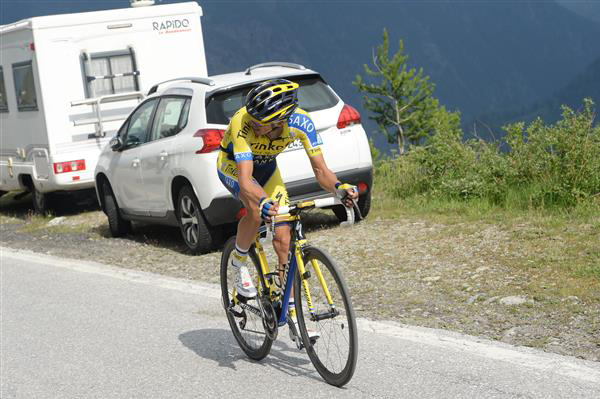 Contador climbing to Verbier in stage 15 of the 2009 Tour de France. 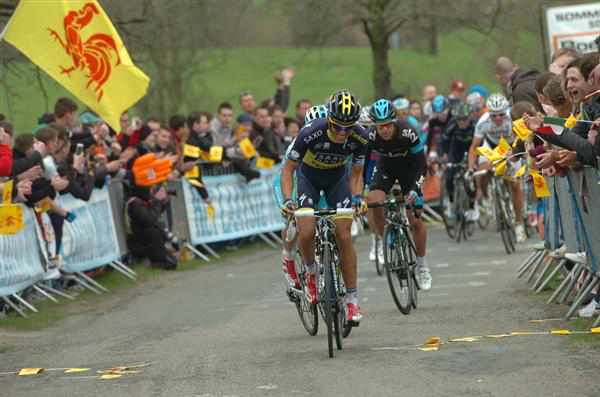 Contador winning that 2009 Tour stage 15 and taking the GC lead. Alberto Contador leads Janez Brajkovic up Alpe d'Huez in the 2010 Dauphiné. 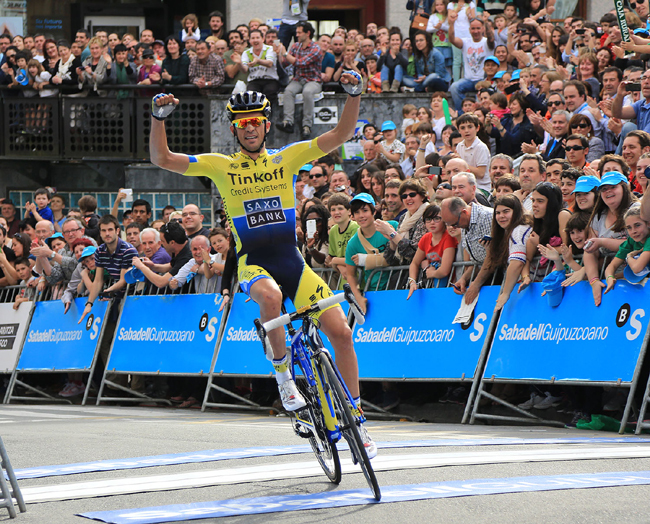 Though Contador won the stage, Brajkovic was the race's final winner. 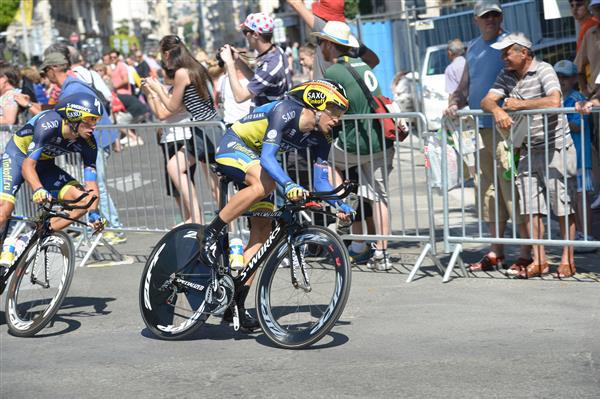 Alberto Contador climbs in stage 12 of the 2010 Tour de France with Joaquin Rodriguez on his wheel. 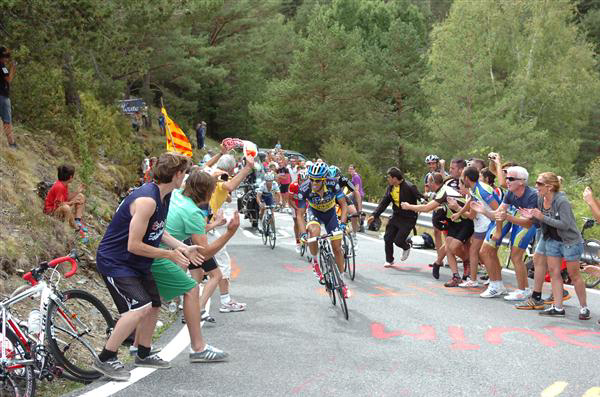 Contador descends in 2010 Tour stage 15. He would be in yellow at the finish. 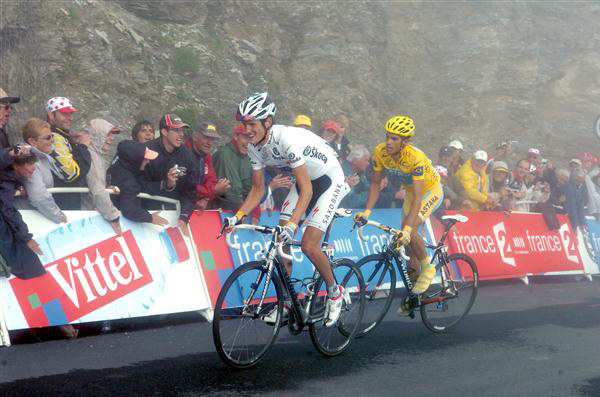 Andy Schleck lead Contador in 2010 Tour stage 17. Contador racing in the 2011 Giro d'Italia, stage 5. 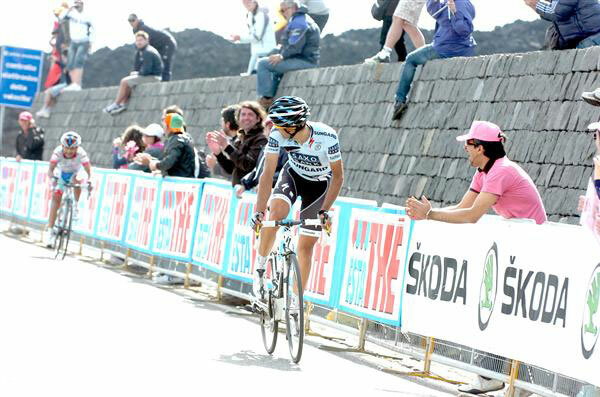 2011 Giro d'Italia stage 9: Contador looks back to make sure José Rujano is safely dropped. As he finishes in front of Milan's spectacular cathedral, he knows he has won the 2011 Giro. At least until he was stripped of the win. Contador climbs in stage 12 of the 2011 Tour de France. He was unable to respond to Andy Schleck's hard attacks. 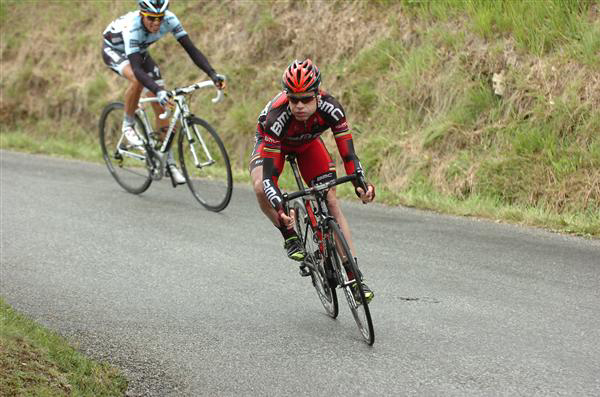 Cadel Evans leads Contador on a descent in stage 16 of the 2011 Tour de France. 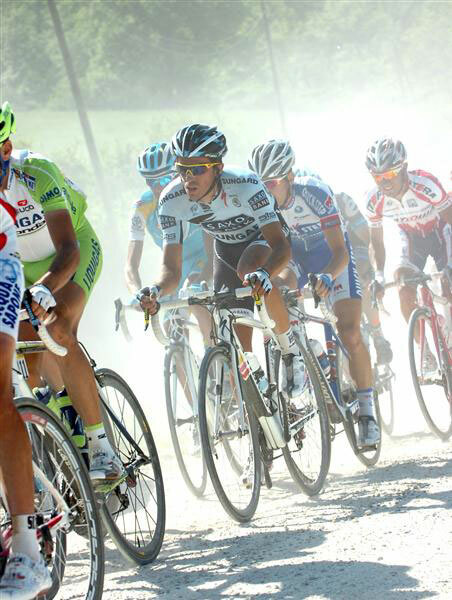 Contador climbs in stage 18 of the 2011 Tour de France. Contador at the start of the 2012 Tour of the Benelux. 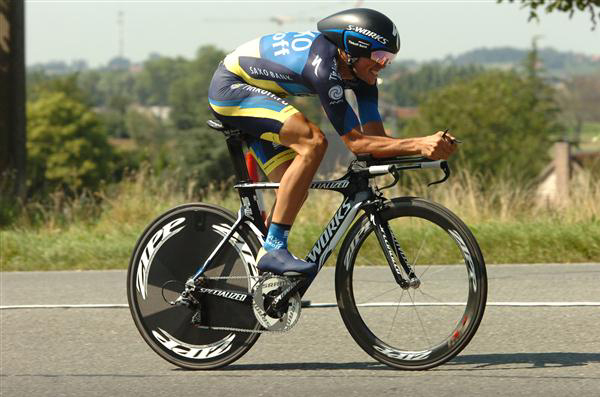 Flat-backed Contador time-trialing in the 2012 Benelux Tour stage 6. 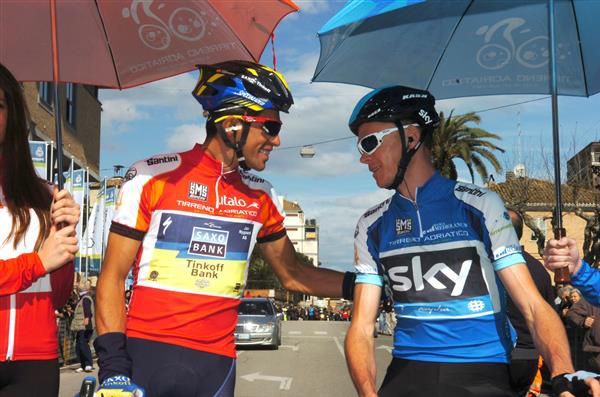 Miguel Indurain and Alberto Contador at the start of Vuelta a España stage 2. 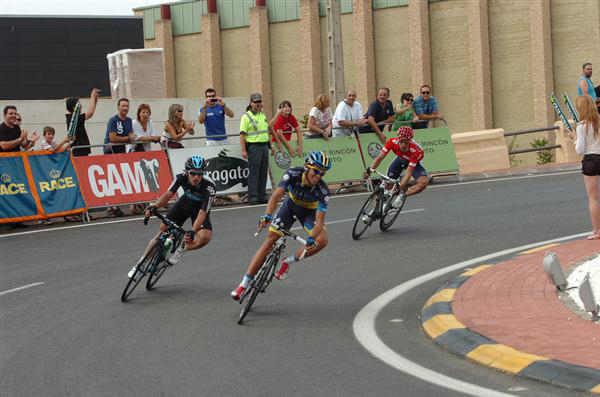 Contador racing that Vuelta stage 2. Contador attacking in 2012 Vuelta a España stage 12. 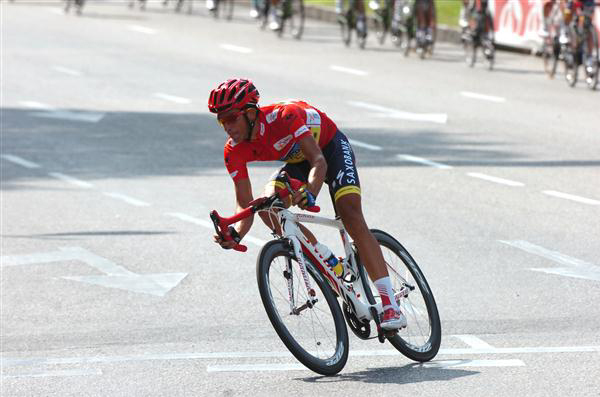 Contador in the leader's jersey riding the final stage of the 2012 Vuelta. 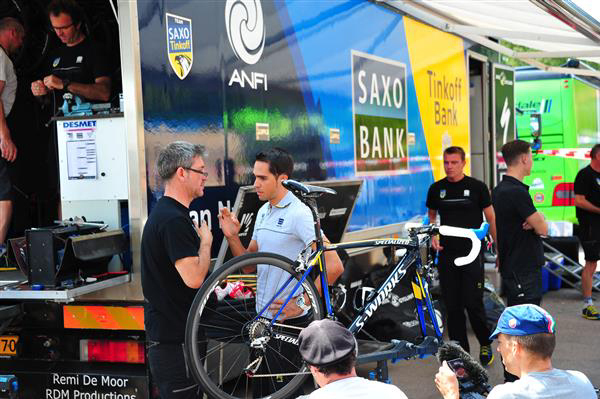 Contador talks to a mechanic before the start of the 2013 Tour de France. 2013 Tour de France, leading his squad in the stage 4 team time trial. 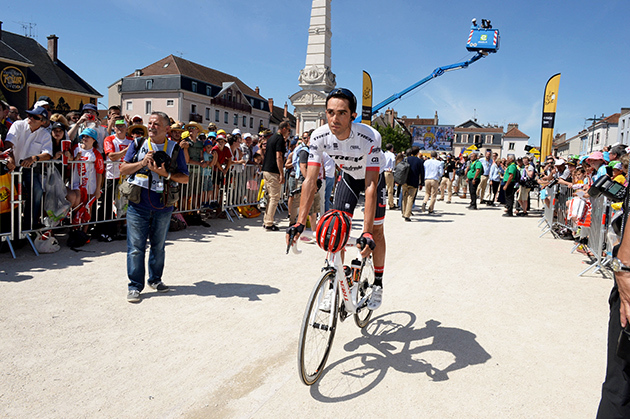 Contador leads yellow-jersey Chris Froome in Tour de France stage 16. 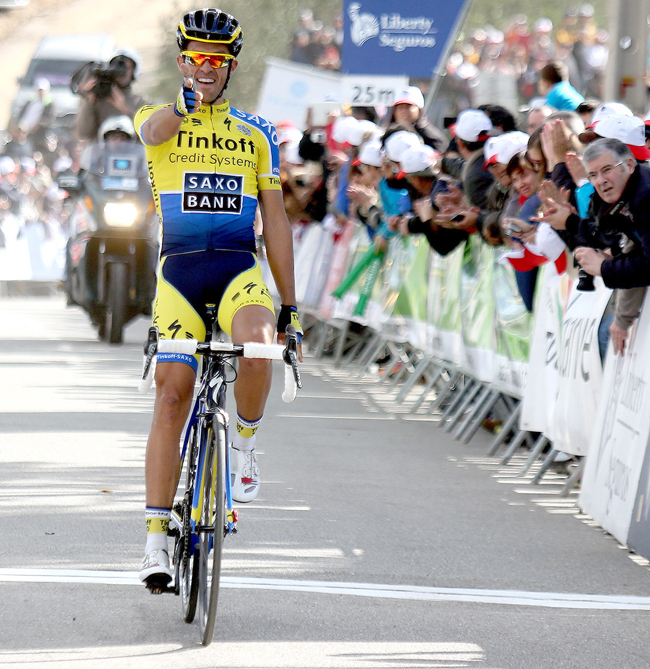 Contador gives his trademark pistol shot as he wins stage four of the 2014 Tour of the Algarve. 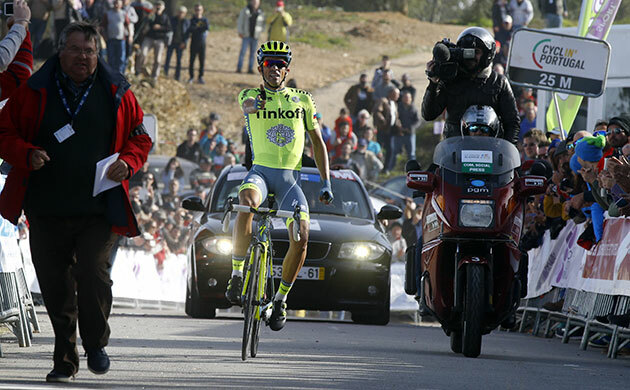 Contador wins stage 1 of the 2014 Tour of the Basque Country. Contador and his team check out a strectch of cobbles before the start of the 2014 Tour de France. 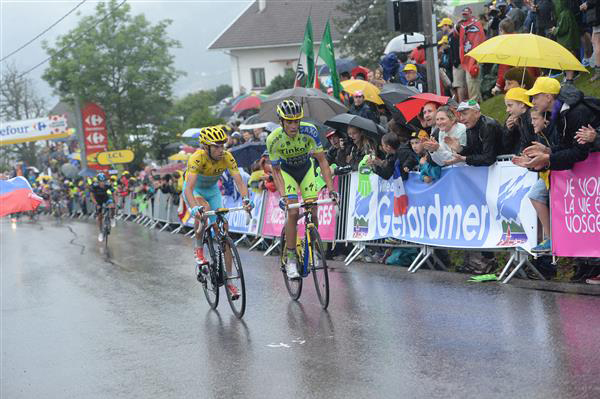 Vincenzo Nibali and Alberto Contador suffer in the rain during 2014 Tour de France stage 8. 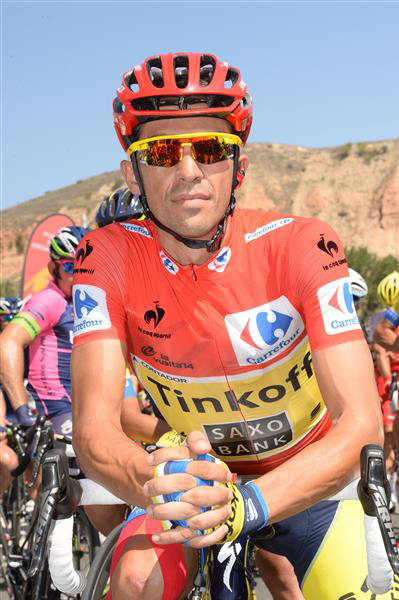 Contador in the leader's red jersey before the start of Vuelta a España stage 12. 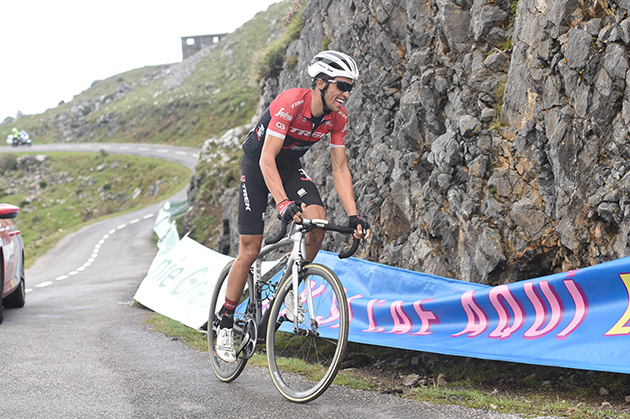 Contador defends his lead in the the 2014 Vuelta by attacking in stage 20. 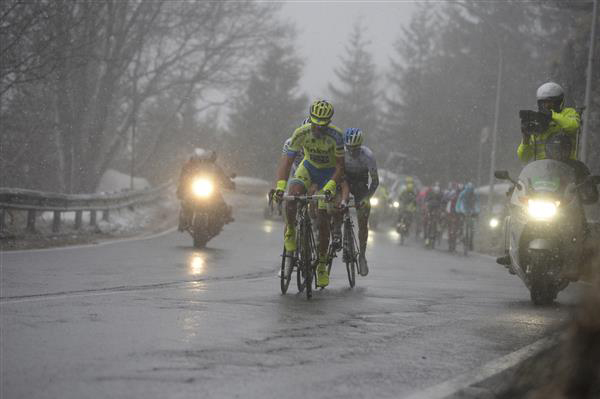 Appalling conditions in the 2015 Tirreno-Adriatico, stage 5. 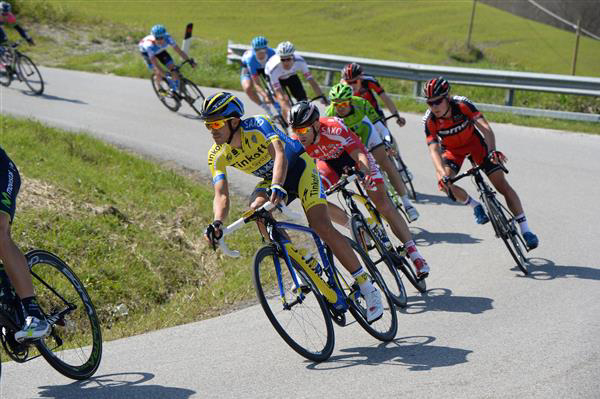 In pink, Contador descends in stage 6 of the Giro d'Italia. 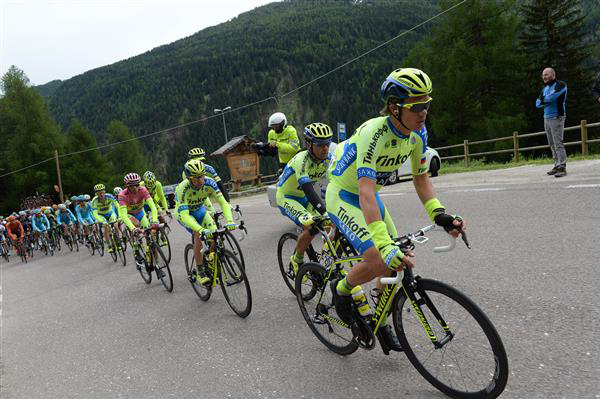 Contador (pink jersey) and the Tinkoff team in stage 16 of the 2015 Giro d'Italia, on the Tonale Pass. 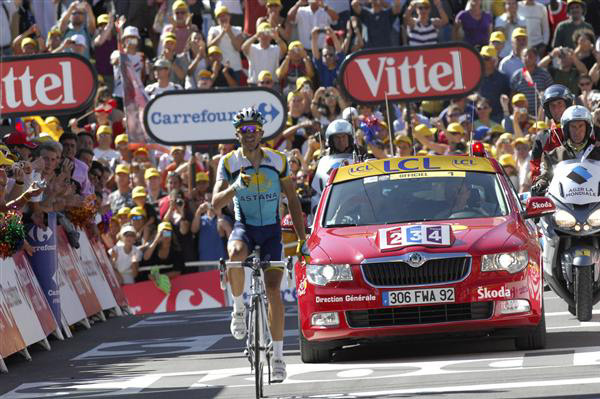 Contador grits his teeth in stage 11 of the 2015 Tour de France. Stage 6 of the 2016 Tour of the Algarve. 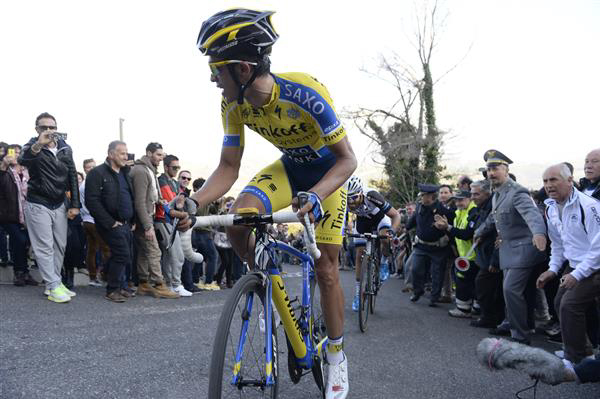 Contador starts the time trial of the 2016 Paris-Nice. 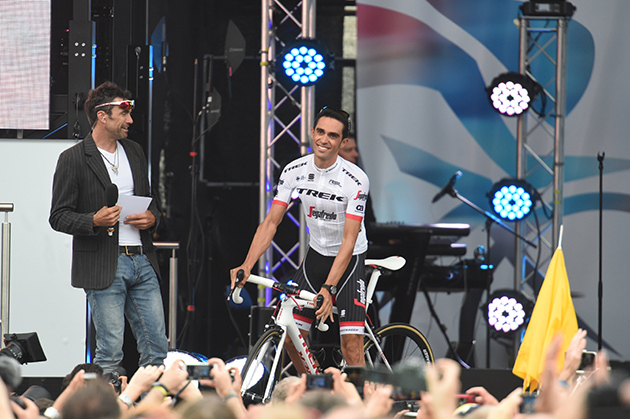 Contador is presented at the start of the 2017 Tour de France, his last TDF. 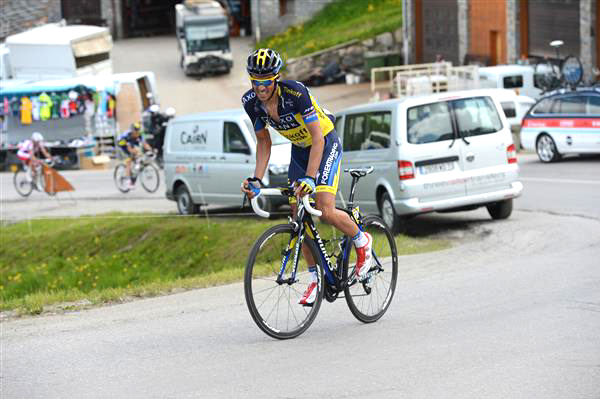 Contador heads to the start of Tour stage 6. 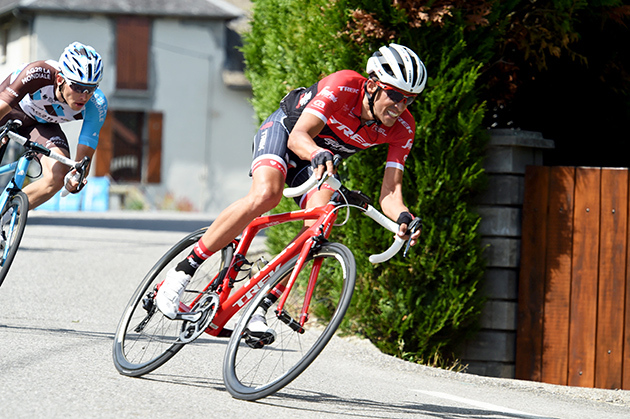 Contador ascending in 2017 Vuelta a España stage 20. 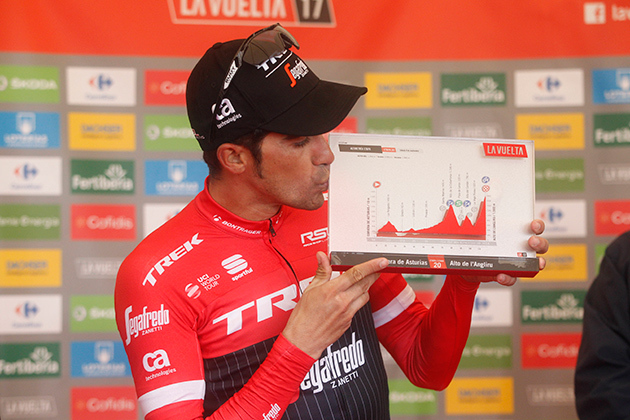 Contador enjoying his time on the podium after winning stage 20 of the 2017 Vuelta. 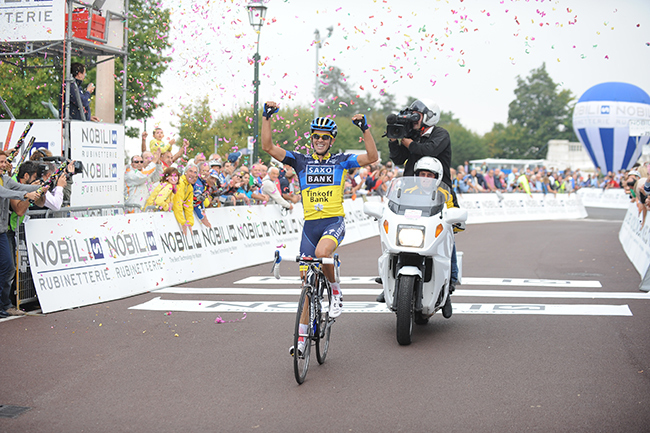 With just the 21st stage to ride, Contador certainly ended his career on a high note.